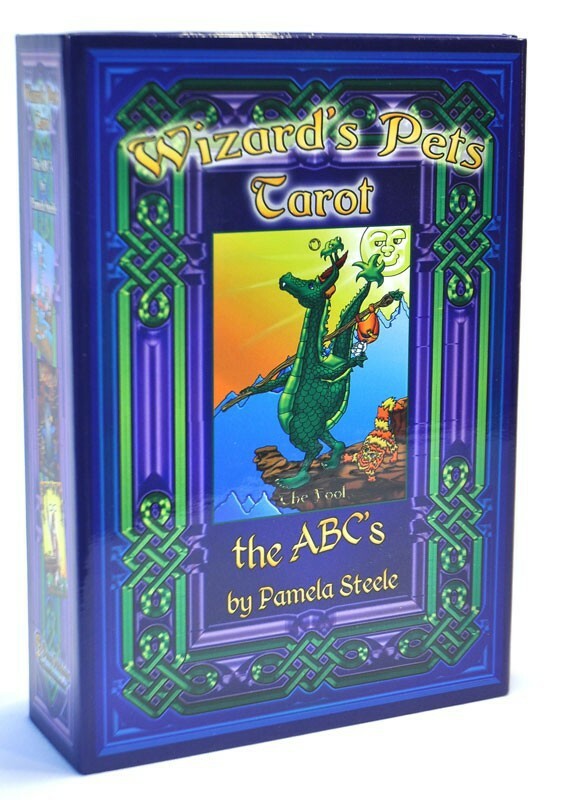 The Wizard's Pets Tarot is a charming twist to an old favorite. Modeled after the classic Rider/Waite/Smith Tarot, this fresh approach brings all the wisdom of tarot with a touch of magical charm. This deck comes with all 78 standard tarot cards, companion book, and a coloring book! This is the newest deck from artist Pamela Steele. Her other deck is the Steele Wizard Tarot, available as a deck or deck/book set.